Earlier this summer the folks at Black & Decker asked me to review their latest cordless string trimmer (Model LST220). 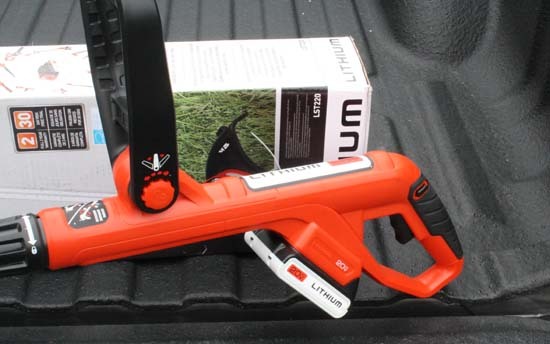 Last year I reviewed their 24V NST1024 cordless trimmer so this was a fun comparison. Before digging into my thoughts on this new trimmer I wanted to quickly share some basic product information. The Black & Decker LST220 takes about 5 minutes to assemble out of the box. It comes with two batteries and a charger. The first thing I noticed between the LST220 and the NST1024 that we reviewed last year was the weight. The old 24V version was over 8 lbs and this new one is just over 5 lbs. That’s really nice when you consider what a drag it is carrying a trimmer around the yard. The 20V MAX battery system sure looks like the new DEWALT 20V MAX cordless battery system! Not surprising seeing they are part of the same company. These “20V” batteries are really just 18V batteries that have a 20V maximum rating under no load. Having said that I do like the new battery style and hope to see it offered on more Stanley Black & Decker products. The new Black & Decker LST220 20V MAX cordless string trimmer offers a convenient alternative to corded and gas powered string trimmers. My yard is just over 1.3 acres in size all of which is lawn with numerous flower beds, vegetable gardens, trees, kids play house, etc. So my yard has a significant amount of ares that need trimming after I mow the lawn. I was able to walk around the entire yard and trim my usual route using one full battery and part of the 2nd one (this trimmer comes with two batteries). It takes me about 20 minutes of continuous trimming to finish the entire job. So I would say you get about 15 minutes of run time (while trimming) for each battery. I’m still not a huge fan of the automatic string advancing systems out there. This one is like many of the others with inconsistent results. I definitely prefer letting out more string as I need it versus waiting for the machine to pick the time. Having said that it did keep feeding string so I never completely ran out. 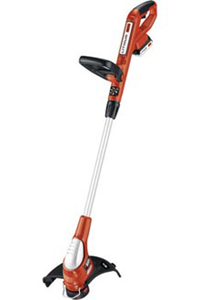 The Black & Decker LST220 is a good cordless string trimmer option. I think it’s important to note that these cordless string trimmers are not for mowing with (some folks actually mow down steep slopes, etc with string trimmers). 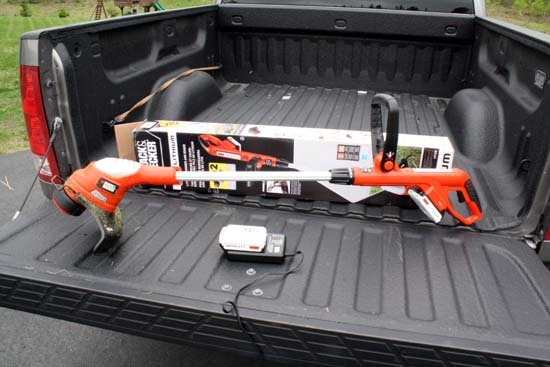 However, it’s certainly very capable trimmer for small yards and basic trimming. It’s so pleasant trimming the yard without towing along an electrical cord or hearing the loud roar of a stinky gas powered trimmer. Priced at just over $100 they are a good value. If you’re interested in buying one then check out the following link from Amazon.